The REHOBOT hose reel type SVD2115, SVD2120 and SVD2125 come complete with 2 pcs of twin hose (2 x 15m, 2 x 20m or 2 x 25m). The two hose reels are fixed to a light carrying frame. 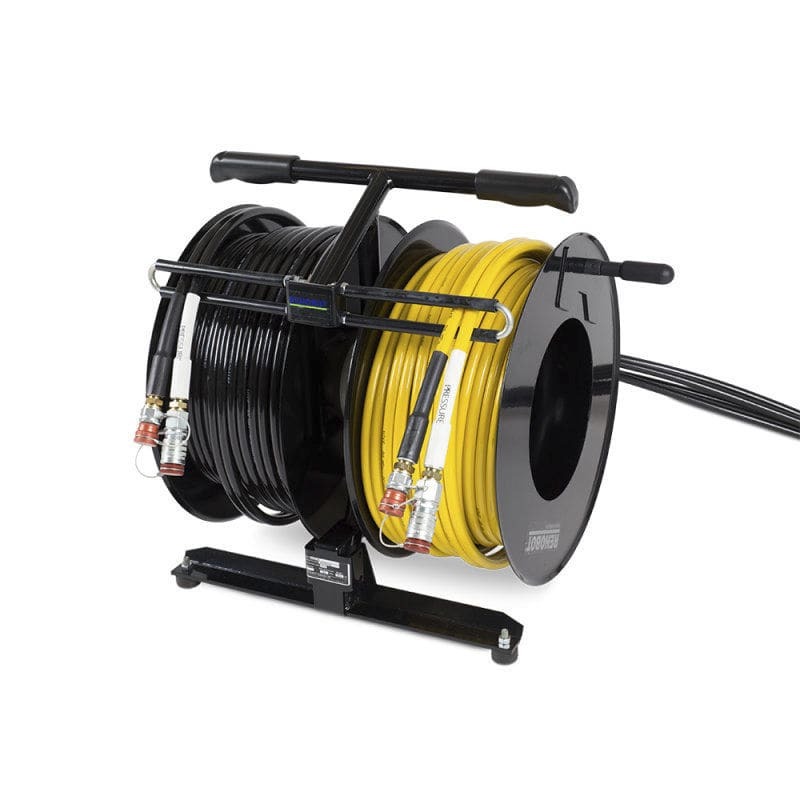 The twin hoses are each of different colour and are at each end provided with quick couplings male and female to be connected with the corresponding couplings on the tools. The pressure hose ends are clearly marked to prevent mix-up. The couplings (male/female) have metal dust covers. The hoses can independently be coiled and uncoiled under pressure. 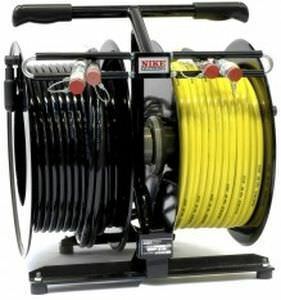 The hose reel has connection hoses with quick couplings male and female to be connected to the pump. Length of connection hoses is appr. 1.5 m.